It is a ferrous alloy containing chromium and carbon, two elements that form air and water on contact with oxygen, a transparent surface layer that is resistant to corrosion. This layer is the result of passivation and is more or less resistant, depending on the chromium concentration and any presence of elements as nickel, molybdenum, titanium and others. Stainless steel is resistant to corrosion and to heat, it has a low maintenance cost, is recyclable and biologically neutral, easy to machine and to clean and has a good strength/weight ratio..
Martensitic, austenitic and ferritic steel. This material is available in Rettacciai in its three large families. Martensitic steel is magnetic and hardenable and formed by alloying elements as iron-chromium and carbon. Austenitic steel is formed by iron based alloys with chromium (between 17% and 26%), nickel (between 7% and 35%) and a maximum of 0.15% carbon. This stainless steel cannot be hardened. Ferritic steel is stainless only to chromium (the variable is between 11% and 30%). Compared to martensitic steel, it has a lower carbon content and also contains molybdenum, aluminium and sulphur. There are several types of AISI steel available in Rettacciai. AISI 303 no 1.4305 is resistant to corrosion, organic acids and chemical agents. It is a material with high machinability, used mainly in machining for chip removal. AISI 304 no 1.4301 is the most common stainless steel. It is resistant to corrosion, has good machinability and is mainly used in the chemical, textile and food industries. AISI 316 no 1.4401 has excellent resistance to corrosion and is ideal for marked deformations. It is widely used in the chemical, shipbuilding, construction and food industries. 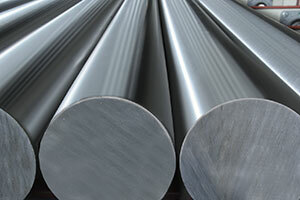 AISI 420b no 1.4028 is a stainless steel supplied tempered with good toughness, is corrosion and heat resistant. It is excellent in engineering and electronic applications, for transport and so on. AISI 430 no 1.4016 is ferritic and lends itself to induction hardening: it has good mechanical characteristics and is used in the chemical, mechanical, kitchenware and electromechanical industries. Supplied hardened, also AISI 431 no 1.4057 can be induction hardened and has high mechanical strength levels. It is a martensitic steel with excellent resistance to corrosion and is mainly used in the production of pump shafts, valve parts and other parts. Supplied hardened, also AISI 431 no 1.4057 can be induction hardened and has high mechanical strength levels. It is a martensitic steel with excellent resistance to corrosion and is mainly used in the production of pump shafts, valve parts and other parts. AISI 440c no 1.4125 is a hardenable steel and is suitable for the production of parts that require good resistance to corrosion, as surgical tools, bearings, balls, rollers and other items. This material, Duplex F51-F60 S32205 and super Duplex F55 S32760 available on request, is a super two-phase, structural stainless steel. It is widely used in the production of valves, pups, centrifuges and other items. 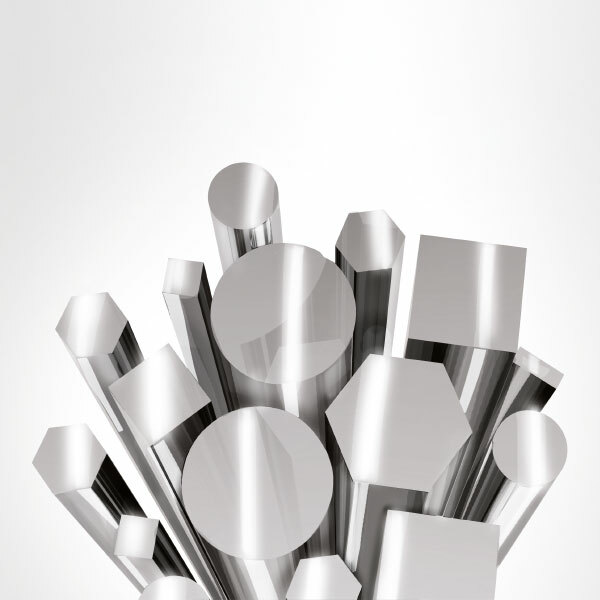 To know more details about our types of stainless steel Contact Rettacciai!